What started as a two-man operation has grown to a workforce of over 200 dedicated employees who ensure our company’s core values reside in every product and service we provide. We remain focused on our customers: ensuring their needs are met and that we deliver the highest quality standards as we grow our businesses in the industries we continue to serve. Established in 1997, Eastside Industrial started out as a coatings business, preparing and painting fibreglass and metal components for local OEMs. As the coatings business continued to grow with a focus on “A” Finish coatings, Eastside Industrial moved to a larger location (our current space), committed to diversifying into composites manufacturing and expanding our customer base throughout the continent. Today, Eastside Industrial serves dozens of OEMs across North America with tooling prototyping, assembly, coatings and composites manufacturing solutions. Eastside Industrial continues to see growth as we expand our operations to accommodate higher scale and more innovative production methods to continue meeting our current and targeted customer needs. Astrit began his career as a Corporate Tax Accountant obtaining his Business Administration Accounting Major at KWB Chartered Accountants, handling corporate and individual tax clients. He gained a strong understanding of advanced accounting standards and principles at all levels of business to utilize at the Eastside Group of Companies where he started in 2011. Now, after 7 years with the Eastside Group of Companies, he has been very pleased to see the Eastside Group expand its market share and bring new clients on board on a regular basis. The ability to be flexible for our clients and face new challenges each and every day is what makes Eastside Group, and Astrit, proud to continually strive for excellence on all aspects of the business. Professionally, Astrit enjoys the challenge of identifying and solving problems, listening to the needs of business people, and managing the firm. Astrit is gregarious, and people are drawn to his happy personality. He is an ex-professional soccer player where he learned key aspects of being professional at all times, and obtained all levels of coaching certifications. He remains very active in volunteering in the soccer community. Astrit is proud of being part of the Eastside Group and its growth over the last 7 years. 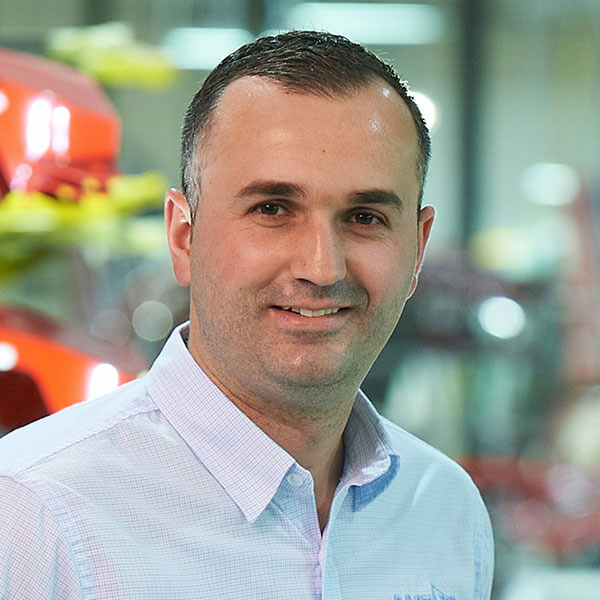 He loves the fact that the most important asset of the company is our people who make great quality parts and meet some of the highest quality standards worldwide. We look forward to many more challenges and growth in the next chapter of our business. Bobby started his career at Hawkins Taxidermist where he fabricated foam molds with a Gusmer Foam machine, one of only a few of its kind at that time. He then commenced his career at Frank Fair Industries working in the ABS area as a Foam Machine and Vacuum Former for 10 years, supervising the area for the last 5 of those years. While with Frank Fair, Bobby was promoted to Supervisor of Production in the ABS as well as the fiberglass manufacturing area including lamination, RTM, RTM light, grinding and shipping parts. Bobby gained further supervisor experience at Carlson Structural Glass as a Production Supervisor in charge of the department for lamination, RTM, grinding and the paint line for 5 years. After a four year return to Frank Fair as Production Supervisor, Bobby went on to take on the role of Production Supervisor in a bakery environment having 60 unionized employee who reported to him. Bobby then joined Eastside Industrial in 2009 when it expanded its fiberglass manufacturing division and took on the role of Production Supervisor; Bobby is currently the Production Manager. Bob joined Eastside in 2007 bringing a wealth of experience in the composite industry from part manufacturing in many different processes, tool design and building, to training and managing employees. Starting in a small shop with about a dozen employees and one FRP part in production, Bob is proud to have had a hand in building Eastside Industrial Coatings and Composites to what it is today. Eastside now has over 100 employees in a building nearing 200,000 sq. ft. serving multiple OEMs in a variety of sectors with our team, management and shop floor employees, being the backbone of our success. 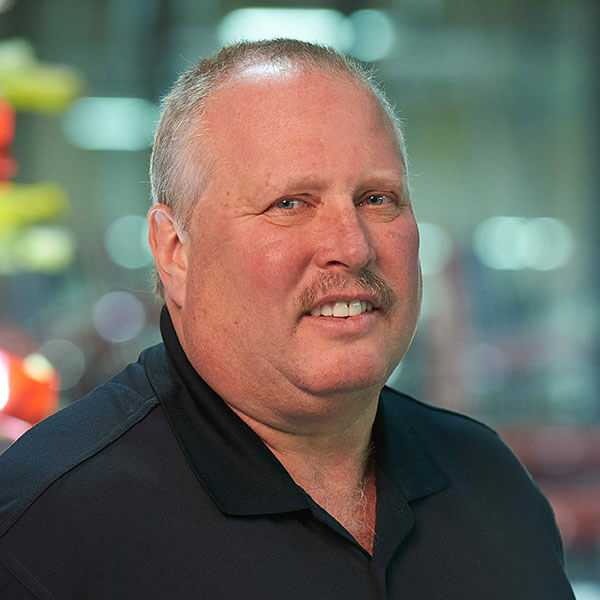 As Co-plant Manager, Bob also looks to support initiatives that improve methods and processes working towards improving quality of products produced while providing employees with a safer, cleaner work environment. Cameron Thomas is a Production Manager at Eastside Industrial Coatings and Composites. Cameron is responsible for the FRP department where all the quality composite parts are produced. Cameron is responsible to schedule production, order raw materials and organize crews from multiple shifts. 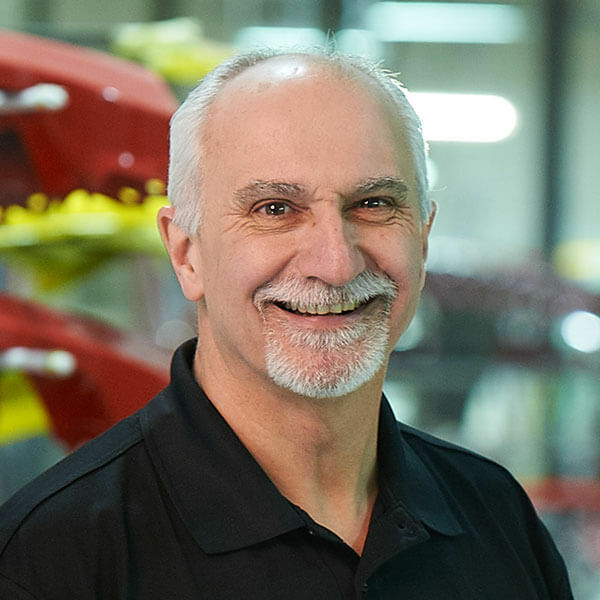 Cameron comes to Eastside with over 20 plus years of experience in the composites industry and has worked at several industry leading composite plants throughout Winnipeg. Cameron has been a key player in the development of industry leading technologies and improvements. Cameron strives for continuous improvement in all areas of production which includes, but not limited to, personnel, raw materials and new technologies geared towards increasing efficiencies and quality. Cameron is a family man with a wife and two kids and very much enjoys his time with his family. Cameron also enjoys sports such as hockey and golf. Chad began his career as a public accountant obtaining his Certified Professional Accounting designation at PricewaterhouseCoopers LLP, handling large and small clients. He chose this field out of a desire to gain hands-on experience at all levels of business which he now uses at the Eastside Group, where he started in 2007. Now, after 10 years with the Eastside Group of Companies, the Eastside team has successfully seen the Eastside Group expand its market share, diversify into new industries and develop a high performing management team. Chad believes the Eastside Group has sustained its success for three key reasons: “We are committed to quality”, “We put the customer first”, “Our people are what make Eastside what it is today”. Chad is proud of the Eastside team at each of its divisions, grateful for the customers who have remained committed to us over the years, and thankful for our suppliers whose partnerships we value greatly, and who have been supportive of our growth and development. 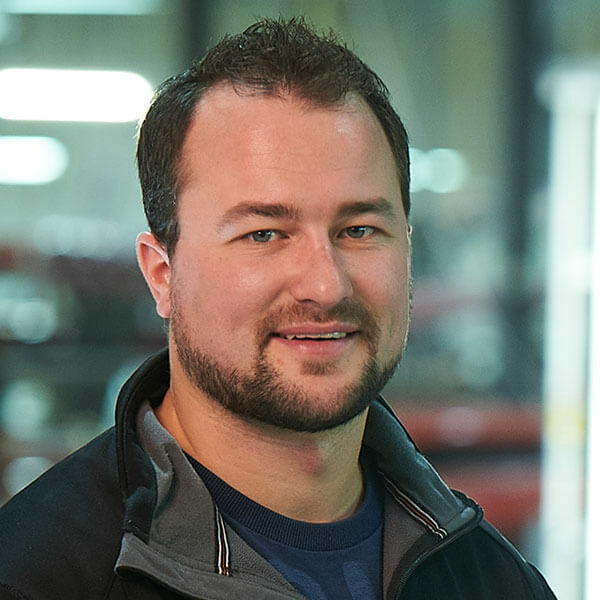 Dustyn Andrews is a Production Manager at Eastside Industrial Coatings and Composites managing all the coatings on the metals coatings aspect of the business. He has been with the company for over 11 years, where he started as a Shipper & Receiver from Eastside’s small shop at the Dugald location. As a result of his problem-solving skills, consistently exceeding expectations, and strong leadership abilities he was promoted to Production Manager. Dustyn thrives when given new opportunities or difficult tasks. Managing Eastside’s metals coatings for 4 years, he has been a large part in developing the coatings division to become one of the top coatings companies in North America. Dustyn believes in continuing to expand our coatings into multiple different markets. He believes that Eastside’s success comes from our focus on quality, challenging processes and “Building a Better Finish”. Dustyn is a dog lover and avid sports fan. His favorite team is the Vancouver Canucks (Don’t hold it against him). 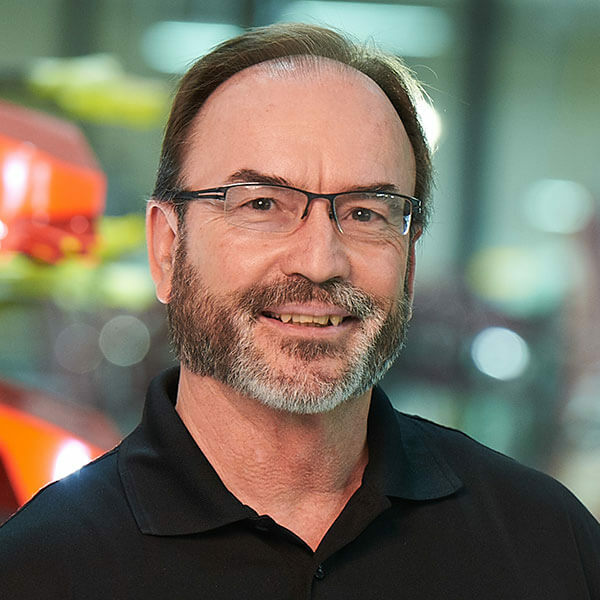 Garth began his career in composites over 25 years ago producing FRP composite parts for a leading North America bus/coach manufacturer. During this time, he gained valuable hands-on experience in all areas of producing high quality FRP components including production, designing, prototyping and tool building. 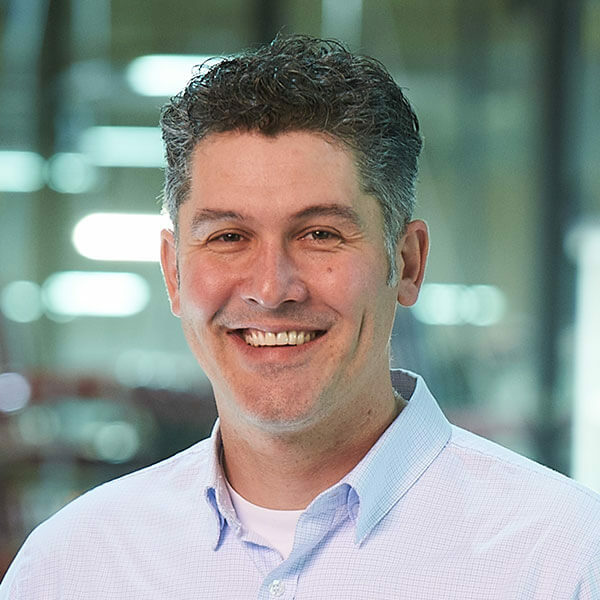 Due to his desire and enthusiasm for composites, Garth joined a global leader in the manufacturing and distribution of raw materials for the composites industry in 2001. Garth started out in sales which allowed him to work with several composite manufacturers providing products, technical support and training. 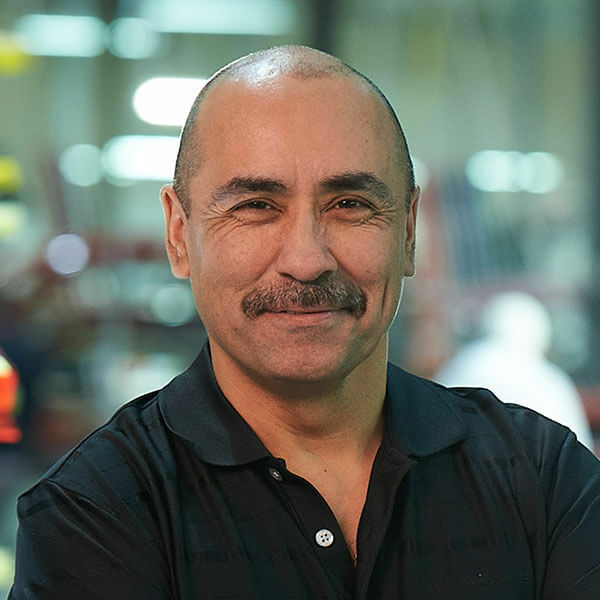 During this time, he gained vast knowledge in composites and played a vital role in the transition from open molded parts to closed mold which allowed his customers to produce parts more efficiently and consistently. 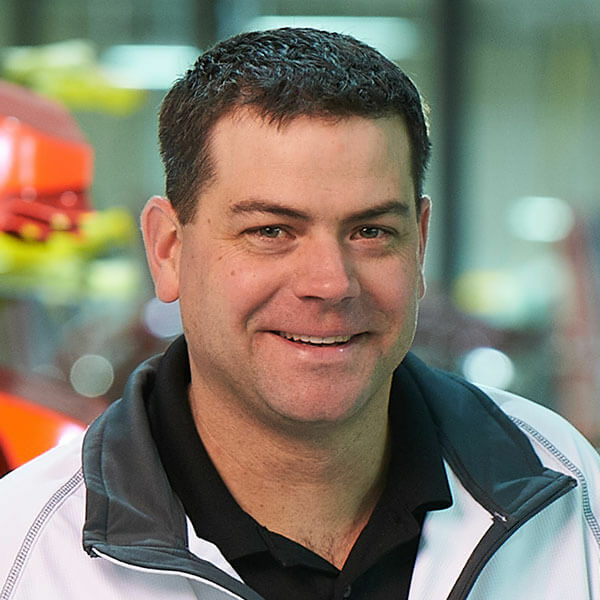 Through teamwork, multitasking and leadership Garth worked his way up to Branch Manager for Western Canada in 2014. Eastside was a customer of Garth’s for 15 years. During this time Eastside grew to become a world class provider of composites parts and coatings supplying some of the world’s largest OEM’s. Eastside’s approach to business - quality, transparency and the customer comes first outlook - is what contributed to this success. In 2017 when the opportunity presented itself to join the Eastside team, Garth became Business Development Manager for Eastside Industrial Coatings and Composites. 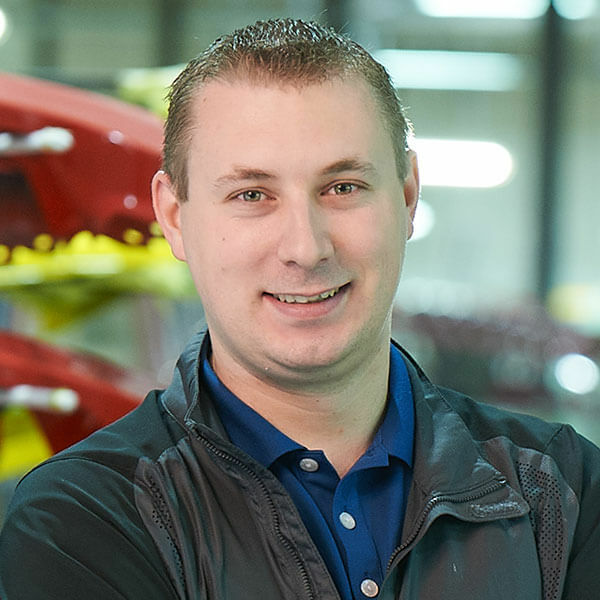 Jason is a Quality Assurance/Production Manager, planning the paint & inspection line schedule, and also ensures that quality parts are being distributed. 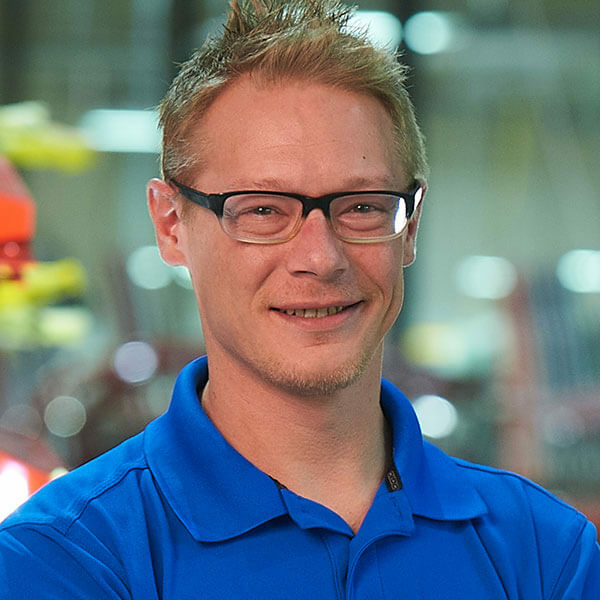 Jason has been with Eastside Industrial for over 7 years and believes the importance of delivering quality parts and products to the customer, and on-going communication. He is proud to see the growth of the company and the exceptional group of people Eastside has. Jason holds a Business Administration (BA) diploma from Red River College & successfully completed the Lean for SMEs program. When he isn’t working, Jason can be found playing sports, coaching hockey and cheering on the Jets & Bombers. Jim Hare, began his career with Frank Fair Industries, the fiberglass division for Motor Coach Industries. Starting as Quality Inspector he spent the majority of his time on the shop floor inspecting parts and auditing processes. After a few years Jim was promoted to Lead Inspector of the Quality Department and ISO Coordinator. Upon the completion of his fifth year he was promoted to Quality Manager. His role was extended to projects with Motor Coach Industries Supplier Quality Assurance and Engineering departments. In 2014 Jim joined the Composite and Industrial Coatings division of the Eastside Group of Companies. Eastside presented an exciting opportunity for Jim to participate in the development of quality and production through the implementation of Lean Manufacturing. With an open-minded management team, from the President to the shop floor lead hands, Eastside has been able to challenge normal practices with new innovative methods to produce consistently high-quality parts. Jim is proud to be part of the growth and development of Eastside and is excited to face the opportunities new customers bring with them. With Eastside, Jim hopes to achieve his goal of obtaining all 6 infinity stones. 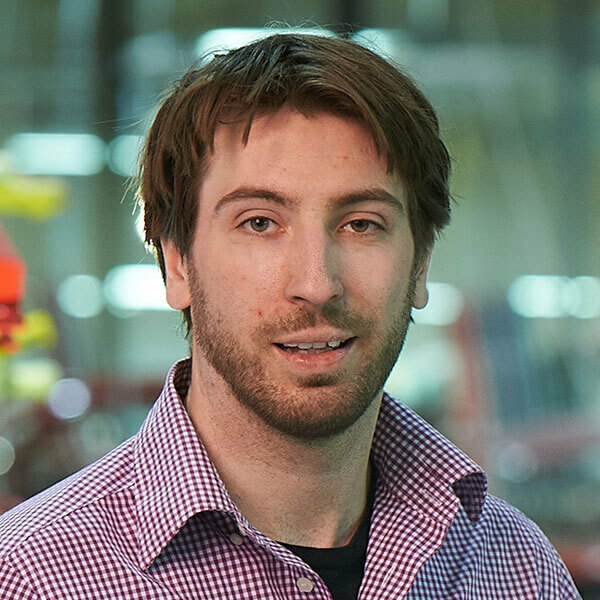 Jordan recently began his career as a mechanical/manufacturing engineer at Eastside Industrial after graduating from the University of Manitoba in 2015. While attending University, Jordan gained valuable insight into the world of engineering design, specializing in manufacturing courses such as: ‘Introduction to Optimization’, ‘Manufacturing Planning and Quality Control’, and ‘Robotics and Computer Numerical Control’. Even though Jordan is in the early years of his career, he enjoys the challenges he faces on a day-to-day basis. With the work experience he has gained from Eastside Industrial, Jordan strives for excellence, and now realizes, “what you can learn from a class setting is one thing, but when you take an idea related to engineering design and implement it into a manufacturing environment, you gain valuable insight of how your original ideas of form, fit, and function might change once you see the manufacturing process occur”. Jordan is proud to be a member of an Eastside Industrial team that strives for continuous improvement and he is excited for the many years to come. Kevin started with Eastside in 2002, choosing a small, family-owned business to gain experience in all business aspects and levels. Willing to grow with the business from early on proved rewarding, and he was glad to be part of an impeccable team. Now in coating and technical development, working with the experienced team and continually improving the finish, appeal, and performance of liquid painting, Kevin works on building strong relationships with both customers and suppliers, using both experience and innovation to raise the industry standard. 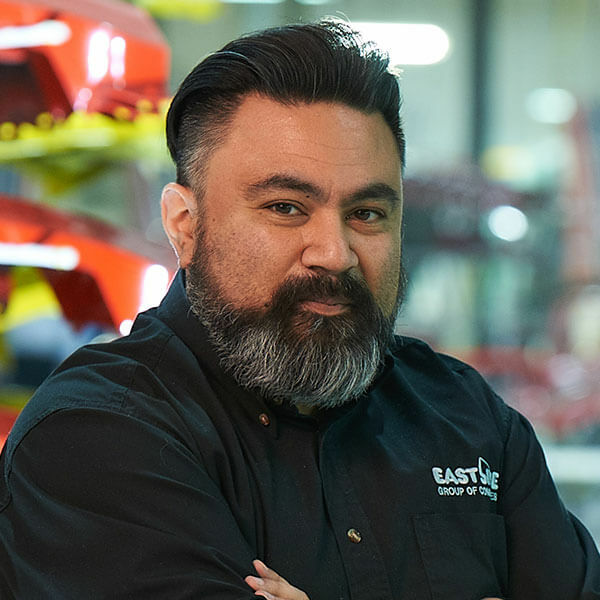 Kevin is proud of the team’s commitment to quality, their perseverance and drive to continue to lead the industry in world class finish, and their hard work growing Eastside’s brand. Matt’s career with Eastside began on the shop floor working on a robot which was one of the first in the industry. This allowed Eastside to supply their customers with a very precise part on time to fill their needs. Matt had an eye for quality which is top of mind for the Eastside team, he moved into a quality position and developed very close relationships between Eastside and their customers. By developing strong relationships with customers, Eastside helps them with any issues they are having and solving them together. Eastside looks at their customers as partners, no matter the size of their business. Matt is very proud and honoured to be part of the Eastside team. When Matt started his career 9 years ago at Eastside it was a 24,000 sq. F.t shop. Today we are at 120,000 sq. ft. Matt looks forward to growing even larger and feels that there is no challenge too big for the staff on the floor and management team. Mylene Sambile Diloy was born in the historic town of Kawit Cavite, Philippines in 1979 where she also studied elementary and high school. As youngest daughter of Margarito Diloy and Erlinda Diloy she was taught at a young age how to be strong and, most importantly, God-fearing. In March 2003, she received a B.S. degree, Accounting Major, from the University of Perpetual Help Rizal, Philippines. After graduation, she worked in a bank for 10 years serving as a bank teller and was then promoted to Accounting Bookkeeper. 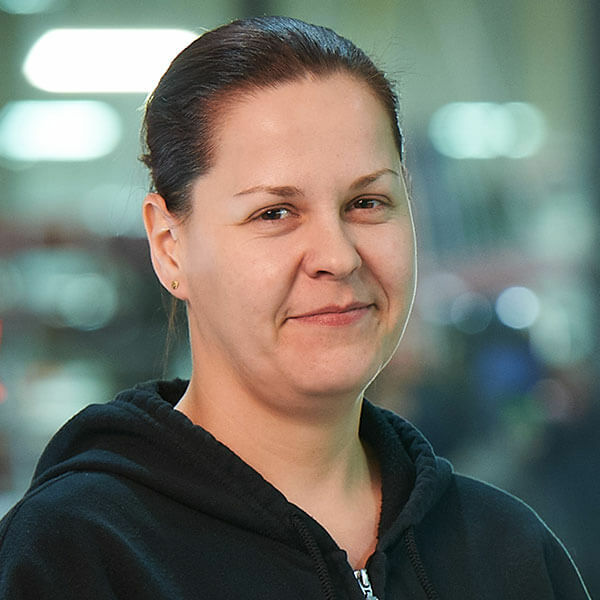 In 2014, she migrated to Canada and that same year she started working at Eastside Industrial Coatings and Composites as a Production Worker. She was given the opportunity to be a part of the management team in 2015 as an Accounting Assistant/CSR for this growing company. Slavka brings a woman’s perspective to our team. Her interest in all kinds of technical things led her to pursue a degree in Industrial Engineering at Faculty of Materials Science and Technology of Slovak University of Technology. Her educational background and adaptability led her over the years to a wide variety of manufacturing industries – consumer electronics, meat processing machinery, micro breweries, bio-pharmaceuticals, commercial HVAC and industrial noise control equipment, and bulk material handling equipment. 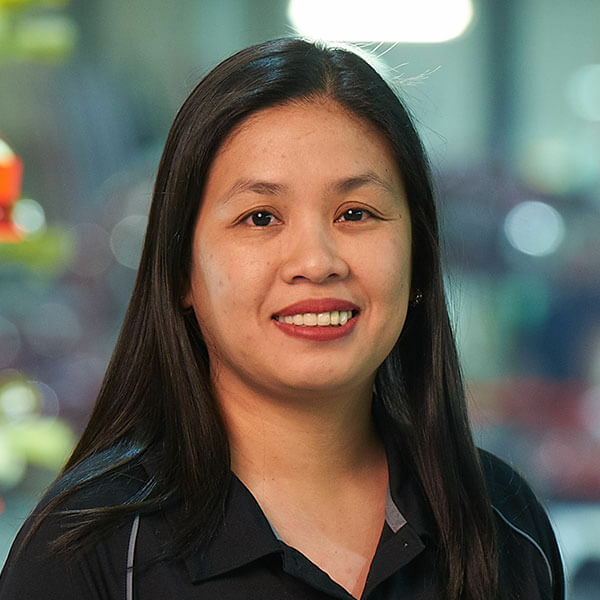 Slavka’s keen eye for detail, analytical mind, passion for custom design with experience in R&D, CAD skills, hands-on approach, as well as strong belief in continuous improvement and lean way of manufacturing, makes her a valuable part of Eastside’s Lean Team.